In full disclosure, Ron and I started the BRC with the thought that if all we got out of it was a free T-shirt, it would be a worth-while venture. Fast forward a few years, and we might have just received the coolest gift yet, a custom-built Cap n’ Catch bottle opener from Half Yankee Workshop. 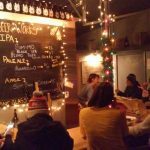 The Half Yankee Workshop is a homegrown woodshop specializing in custom products for craft brewers, including custom wood beer tap handles, and magnetic bottle openers. 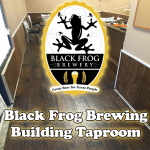 Located in Houston, Texas, they provide custom tap handles for many local bars and also ship to home brewers nationwide. As it’s name implies, all you have to do is open your beer and let the cap fall, it will be caught by the strong rare earth magnet sitting just behind the wood. Caps upon caps can be piled below the opener creating a fun, decorative way to show off your most recent beers. To be fair, this isn’t a ground-breaking device. If you look online, you can find many other magnetic cap-catching openers on the market. What makes this one so special? It has our logo on it! 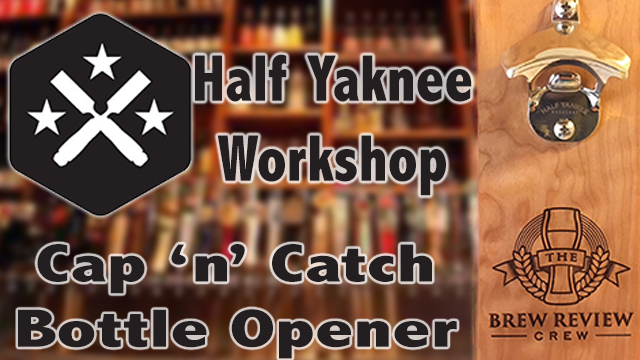 Half Yankee’s opener stands out because the quality and attention to detail is unlike any wooden bottle opener we’ve ever seen. Showing off the beer, or the cap-catching capabilities? Speaking of stronger magnets, that was one of the biggest things that stood out about our opener. When I went to put this on the fridge, it almost jumped out of my hands and clung to the door. Remember those VW commercials where they claimed you could hear the quality of their cars based on the “thunk!” the door made when you closed it? These magnets made a “thunk!” unlike any magnets I’ve used in my house. It gives the opener plenty of footing when trying to pry off even the most stubborn bottle caps. If you don’t want to put this on your beer fridge, you can always hang it (like we have in our recent videos) from a nail/screw in a wall placed into the vertical slot on the back of the wood. The opener works well either way, but there’s something fun about utilizing magnets strong enough to hold steady while you pry off a bottle cap. In short, this thing is awesome! It’s sturdy, made of beautiful wood, and adds both aesthetics and functionality to any room/object you hang it from. An opener like this would be perfect for a garage, man-cave, office, or even a boat; just stick it to a metal surface and never worry about loose caps again. If you want to get a Cap ‘n’ Catch opener like this one, head to Half Yankee Workshop and place an order. Like Ron and I, I’m sure you’ll be blown away by the quality and craftsmanship of this opener. 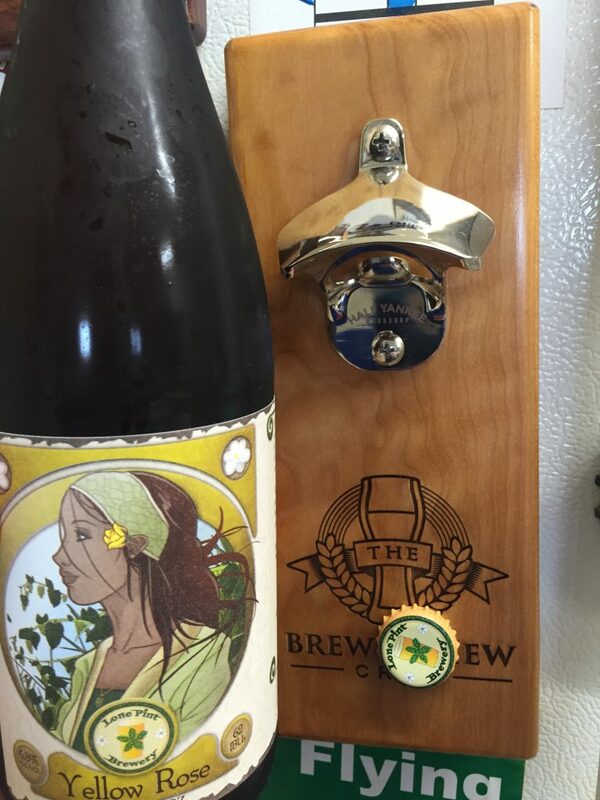 If you want, you can even customize your order with an engraving of your liking; maybe like one with the BRC logo?